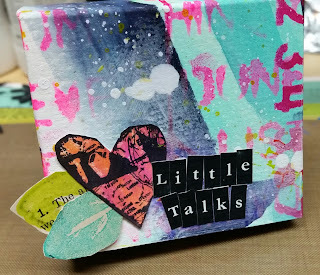 The other day I was looking at an empty cigarette pack when it hit me, make a few cuts and this would make the perfect matchbox mini! What a perfect way to make something disgusting into something beautiful. I did not actually use the cigarette pack, but it did inspire the measurements for the matchbox I did make. 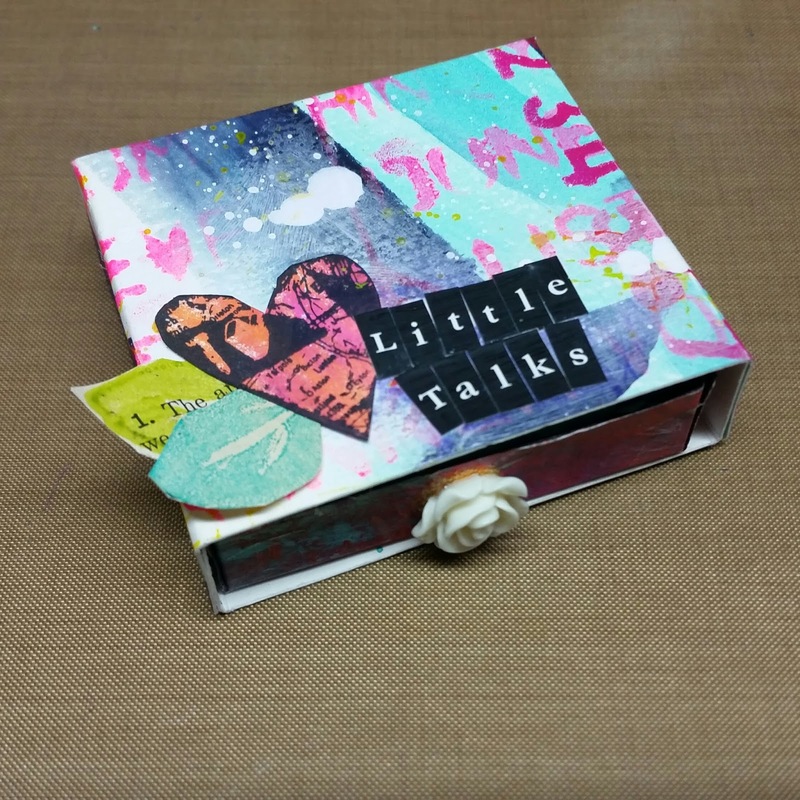 It's called "Little Talks" because I plan to fill the mini journal with a few positive affirmations. We all have those little talks with ourselves, be it positive or negative. I want to fill it with all the positive little talks I should be having with myself on a daily basis. 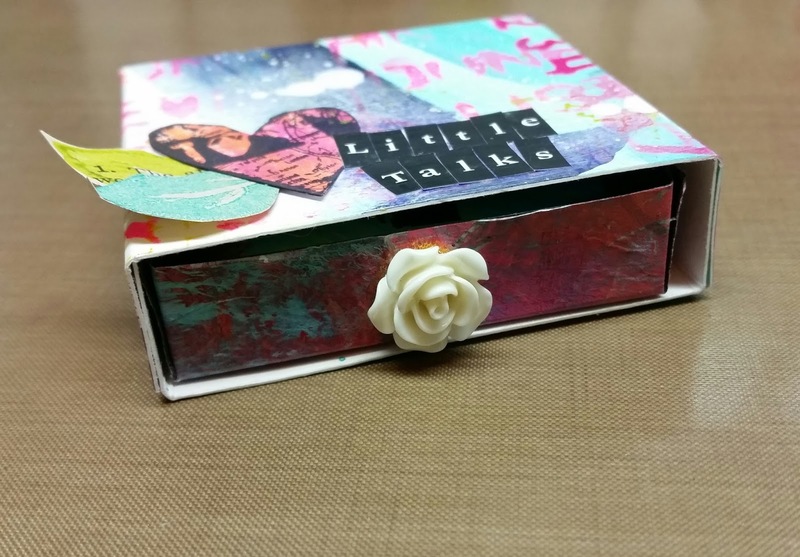 Be sure to keep an eye out for Part II, where I add and embellish the mini art journal that goes inside the box!